It took multiple visits to figure out what was all wrong with our washer. 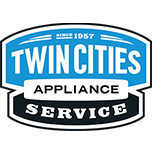 Twin Cities Appliance Service was wonderful. They came in and fixed our fridge and stove leg with out an issue. Clean work and on time. Highly recommended. First tech did not perform a complete ops test. told me washing machine was working. Asked him to watch the full cycle. He ordered new control board. Different tech installed new board, did not perform complete ops test. washer is doing the exact same thing fills with water and does nothing. This work was performed under Maytag Factory Warr. Now maybe this is a bad machine but I feel the service was subpar. We will be returning this machine to Menards. Sorry to hear this Frank- We did run it thru the auto calibration test. No error codes showed up before or after the repairs. I know you returned the product to Menards so we are unable to try and correct it for you. WASHER WHIRLPOOL WFW75HEFW0 "3-1, need new acu and switch, part not at house; O-emld tckt"
WASHER WHIRLPOOL MVWX655DW1 "Replace hub, calibrate, run test cycle, ok"
WASHER WHIRLPOOL MVWX655DW1 "Hub is stripped, paid in full; ordrng 1 W10528947 (hub)"
MICROWAVE WHIRLPOOL WMH78019HZ1 Install turn motor checked over unit tested out good..
REFRIGERATOR WHIRLPOOL WRB322DMBM00 No water entering the ice maker. Found the connection at the valve disconnected. Operation tested good after connecting. REFRIGERATOR WHIRLPOOL WRB322DMBB00 "Damper assembly again running very loud and ragged. Motor failing, ordering new damper assembly, office to call for reschedule; ordrng 1 WPW10594330 (DAMPER)"
WASHER AMANA NTW4516FW3 "Replace parts, calibrate, run test cycle, cold water running slow; ordrng 1 W11210463 (VALVE), used 1 W10721967 (CLUTCH/SPLUTCH KIT) from stock"
WASHER AMANA NTW4516FW3 "Replace valve, plug back in now ccu not working, 120 to ccu; ordrng 1 W11170317 (CCU)"
RANGE MAYTAG MGR6600FZ0 "Inspected and installed new conteol panel, this one went on good and no kinks or dents. Took pics of new console to show good"
REFRIGERATOR WHIRLPOOL WRS325SDHZ01 Installed new water line and checked for leaks. Operation tested good. I then tested the ice maker and found the fill tube frozen. Operation tested good after defrosting. OVEN KITCHENAID KFEG500ESS2 Customer stated taking way too long to cook. They set the calibration 30 degrees up but it did not make a difference. I set the calibration back to 0 and did a control reset. No error codes so I set the oven to 350. After taking 6 temps I got an average of 349.25. Doing the control reset could have fixed it. Customer will give it another try. If still having issues please send out control and sensor. MICROWAVE MAYTAG MMV4206FW0 "Open close door error due to bad interlocks. Operation tested good after installing new interlock kit. There is also something rattling around inside the door from opening and closing it so many times. Needs new door. ; ordrng 1 W11031959 (DOOR), used 1 W11244490 (INTERLOCK KIT ) from stock"
MICROWAVE MAYTAG MMV4206FW0 Installed new door. REFRIGERATOR WHIRLPOOL WRF555SDFZ08 Customer stated it randomly will dispense crushed ice when set on cubed. The bucket was pushed all the way back into the solenoid and it is dispensing perfectly today. The ice could have been frozen in clumps which can cause it to throw out chunks. Customer will make sure the ice is broken up before use. MICROWAVE WHIRLPOOL WMH54521HS0 Installed new control. Operation tested good. DISHWASHER WHIRLPOOL WDF520PADW7 "Dishes coming out dirtier than when they went in. This is happening to plastic bowls and some glasses on the top. No error codes, they are using rinse aid, tub temperature was 123 and the water hardness was the lowest on my scale. Tech line had me advise them to use high temp wash and sani rinse. Since it is only happening on the top rack I am sending them a spray arm to install. customer is loading the dishwasher properly. Customer will call customer if this does not fix it. Tech line file number 7723646959.; ordrng 1 WPW10317197 (SPRAY ARM)"
WASHER MAYTAG MVWB835DW1 Installed new valve assembly and tested each valve in diagnostics. Operation tested good. REFRIGERATOR WHIRLPOOL WRS325SDHZ01 "Water not dispensing and icemaker not making ice. When water dispenser pressed, get just a little bit of water then nothing. Pulled unit out on pads and found plastic water line that goes from copper supply line to the water filter housing kinked. Turned off water supply immediately though it was not leaking at this time. Cust not home so called and left message that i was ordering a new line and to leave the water turned off. Left card for cust to call us with questions; ordrng 1 W11162040 (WATER INLET LINE)"
MICROWAVE WHIRLPOOL WMH31017FS0 "Bad door switches caused the fuse to blow. Operation tested good after installing new switches and a fuse. ; used 1 W10138793 (THERMAL FUSE), 1 W10269458 (DOOR SWITCH), 1 W10269460 (DOOR SWITCH), and 1 W10727360 (DOOR SWITCH) from stock"
REFRIGERATOR AMANA ASI2575GRW00 Install new air diffuser and now slide adjustment works properly.